Can be powered by both AC and DC(14.4v/18v Li-ion battery). 360 degrees vertical light angle adjustment. 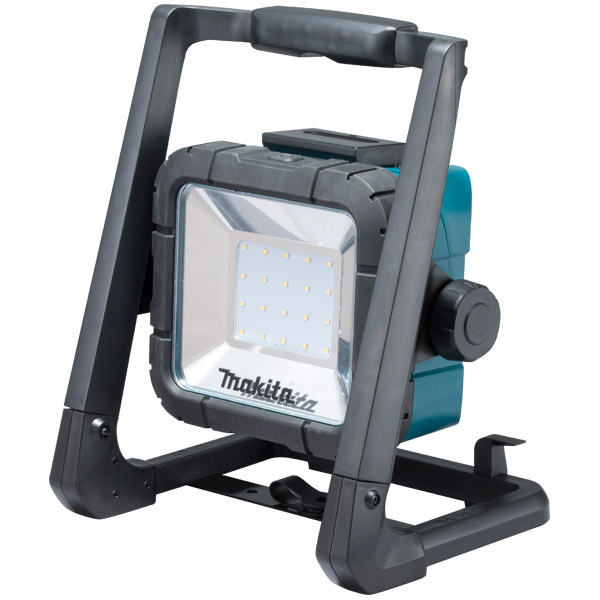 Twenty 0.5W white-light LEDs; deliver bright and even light. Carrying handle for easy transport that also serves as a hanging hook.